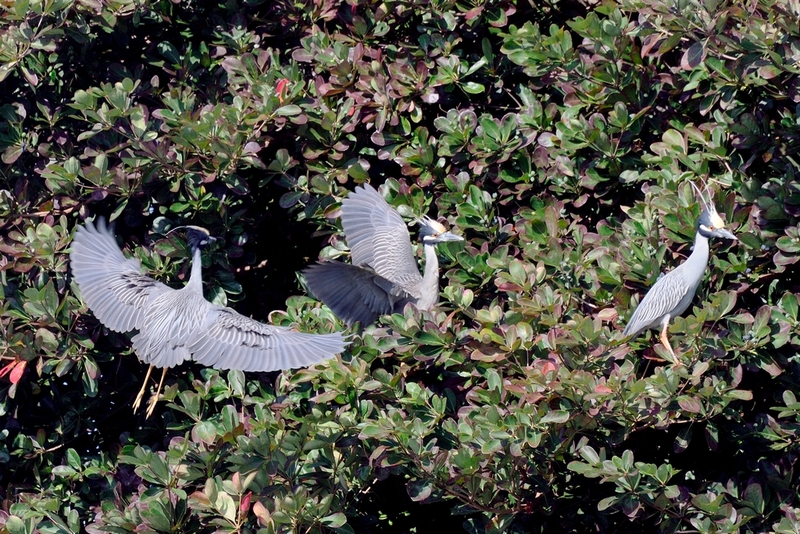 Today, a neighbor called me to tell me that there were four Yellow-crowned Night Herons standing on their pilings. That’s pretty unusual, you don’t usually see them in groups. I went over to take a look and sure enough there were four on the pilings, one on a dock across the way and another in a tree. As I watched them, it was obvious that they all had their full attention on the one in the tree. Eventually, I spooked one. It flew directly to the tree and as soon as it departed another followed in a heartbeat. This looks like courtship behaviour so, it looks like we may end up with a nest in the tree across the canal. I sure hope so. 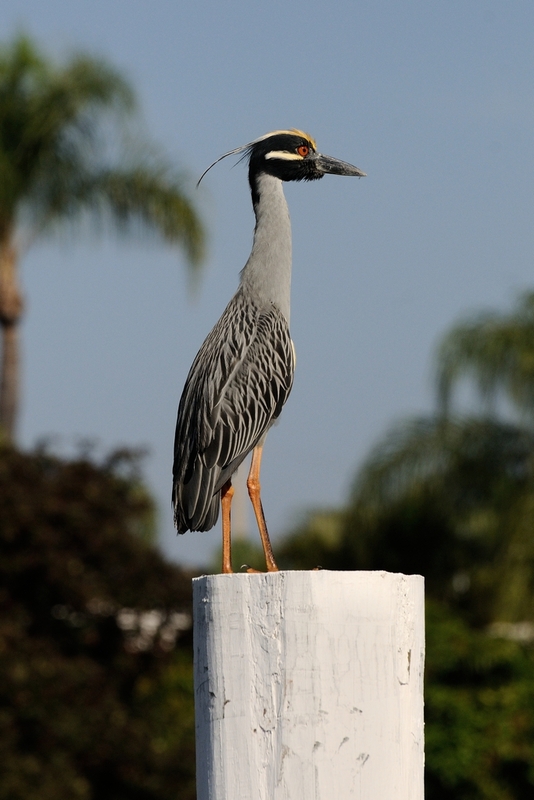 This entry was posted in animal behavior, Bird and tagged Photography, Punta gorda Isles, Yellow-Crowned Night Heron. Bookmark the permalink.